Pure sodium perborate (NaBO3) is a white, odorless solid under standard conditions. However, a molecule of sodium perborate normally crystallizes with 1, 2 or 4 molecules of water. Sodium perborate monohydrate (NaBO3.H2O) and sodium perborate tetrahydrate (NaBO3.4H2O) have commercial applications, especially as detergents and bleaches. Both forms of sodium perborate are more stable and safer to handle than compounds with similar applications, such as sodium percarbonate and sodium perphosphate. Compare the properties of the hydrates of sodium perborate. The tetrahydrate is prepared from disodium tetraborate pentahydrate, hydrogen peroxide and sodium hydroxide. However, it is not as soluble as the monohydrate nor is it as stable at higher temperatures. Sodium perborate monohydrate is easily prepared by heating the tetrahydrate. Bleach teeth with sodium perborate. 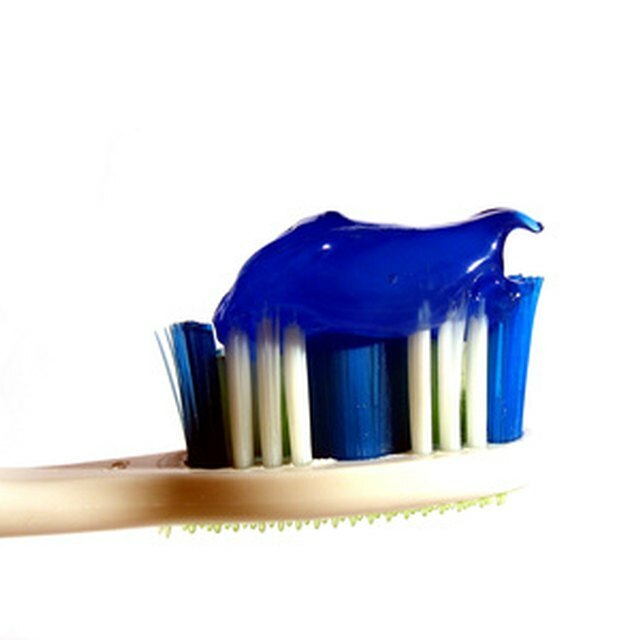 It is a common active ingredient in regular tooth bleaches and it may also bleach teeth internally. In this case, a preparation of sodium perborate is placed inside a tooth with a non-vital root. The sodium perborate bleaches the tooth from the inside over time and it also serves as an antiseptic and a disinfectant. Use sodium perborate in detergents. This compound readily provides the oxygen that is needed for effective laundry detergents, laundry bleaches and other cleaning products. Consider sodium perborate for applications that require a gentler alternative to other bleaches. Sodium perborate is not as harsh as sodium hypochlorite and therefore does not cause as much fading to colored fabrics. However, sodium perborate detergents need an activator such as tetraacetylethylenediamine (TAED) to release oxygen rapidly at temperatures below 60 degrees Celsius. Prepare formulas of eye drops that contain sodium perborate. These products use sodium perborate to prevent bacterial growth without harming the eyes. Robinson, Allan. "How to Use Sodium Perborate." Sciencing, https://sciencing.com/use-sodium-perborate-5215007.html. 24 April 2017.